I've been wanting to do some type of weekly post, something fun but also useful. 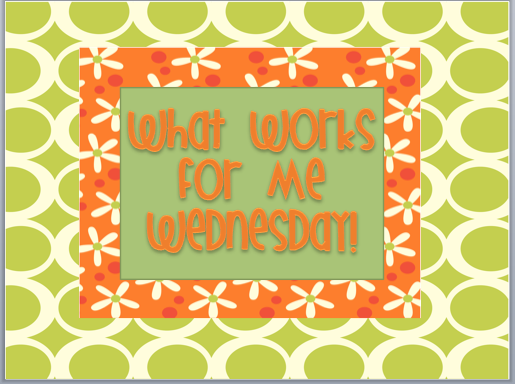 Midweek seemed right for this, and since I love seeing what works for others in their classrooms, I thought I'd share a few things that work for me. Seriously, seeing other classrooms never gets old to me! 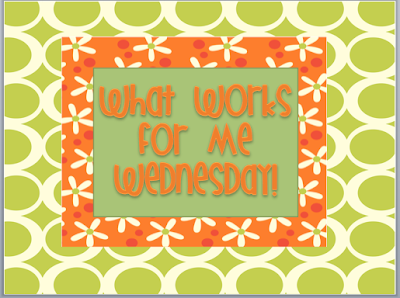 Since this is my first "What Works for Me" post, I'm going SIMPLE! We really don't need a drum roll. but in case you don't, let me share. Students' names are written on clothespins and placed in a container. I use a little pail. 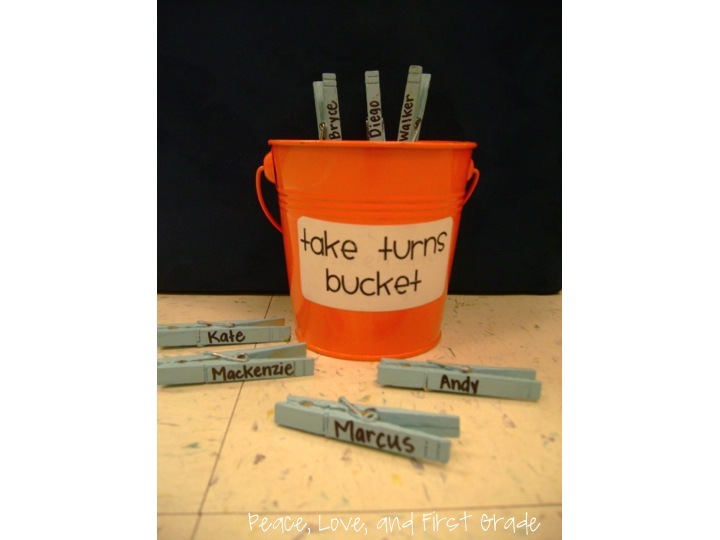 When we do ANY activity that requires taking turns, the bucket comes out! The rest I think you can figure out. The first time I tried something like this, I used popsicle sticks. The problem with those was there was nowhere to put the sticks once they came out of the pail. Clothespins easily clip onto the pail. *I paint my clothespins first so the ink from the Sharpie won't bleed. Actually, this year some other teachers' children painted them for me. They loved it! Side note: One of my sweet girls should NEVER buy a lottery ticket but should ALWAYS enter a draw-down because her clip is consistently pulled last. She's a really good sport, though! If you don't use something like this, I encourage you to try it! Makes my life much easier! are my mini brooms and dustpans! That may sound nuts to you, but they are an enormous help in this classroom. My kids LOVE using the little brooms and can share the workload with a friend. I promise, they all use them without being asked! I hang my brooms on 3M hooks behind my classroom door. You can tell there isn't much room back there. *Make sure the plastic is thick enough to withstand little hands that aren't always gentle. *I also suggest angled brooms. They're easier for the little ones to handle. My current brooms are straight and not as easy to use. 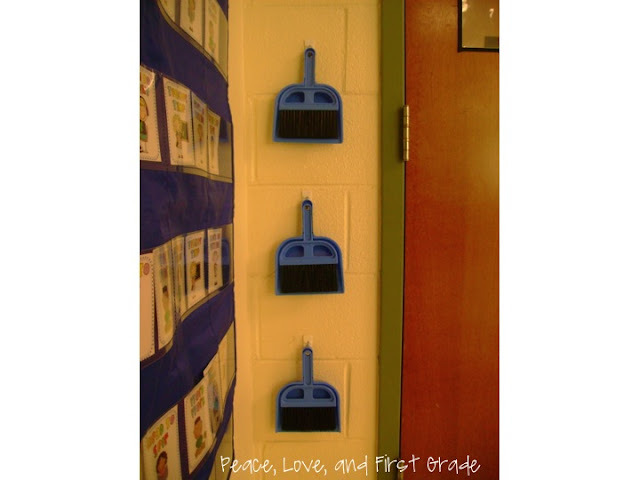 *Make sure you hang the brooms where all kiddos can reach. Well, that was fun! I hope to keep this midweek post going. That's all for now! I'm going to try to remember to snap a pic of our Gumball Math Facts board WITH gumballs! That seems to be working, too! Much fun! Have you seen these giveaways?? Lisa at First Grade Bloomabilities is having a chapter book giveaway- six whole books that she wrote! She's giving away set 2 of her Katherine the Great series. She wrote set 1 a couple of years ago! They look great! I'm super impressed! Miss S at Just Teaching Kindergarten is having a giveaway with some blogger friends. You could win a gift card, clip art, or some awesome units! Go check it out! 50 Follower Giveaway, TPT, and Linky Party!